Personalised gifts are perfect for Christmas, who doesn't love receiving something that's totally personal to them? I know that I personally get excited when someone gives me a gift they have personalised for me, it shows me they have thought about the present, thoughtful gifts are just the best. Brinley Williams is an online store that specialises in personalised gifts, from candles to T-Shirts and all are equally as lovely but today I am here to tell y'all about their personalised mugs! Brinley Williams have over 150 designs to choose from in both classic ceramic and bone china! They aren't totally over priced either which I like, for just £9.95 you can completely customise a mug for you recipient of choice, not only that they have some pretty awesome pre-designed mugs which can help you out if you need a little inspiration and you can add personalised messages to the mugs to make them special. 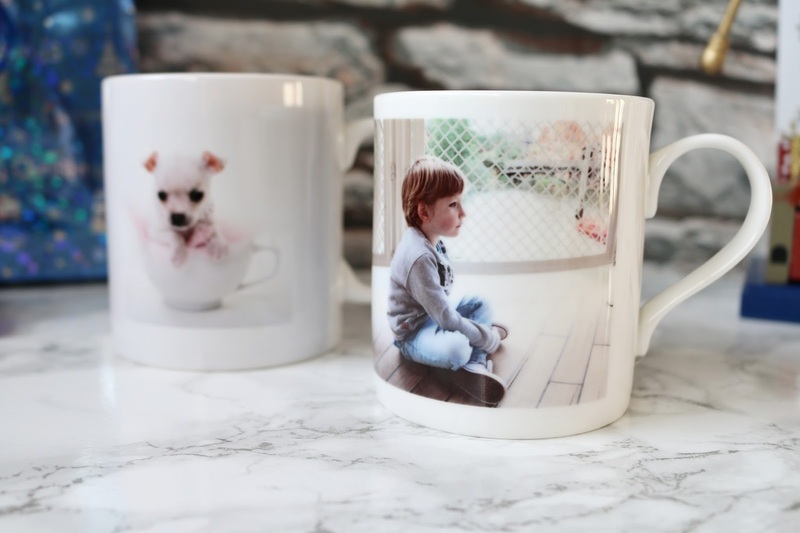 Both the ceramic and bone china mugs are dishwasher proof and microwave safe which is perfect because I know with some personalised mugs this isn't the case. All mugs are printed in full colour with an amazingly smooth and sharp finish. I chose to get a ceramic mug and a bone china mug just to check out the quality of both styles. 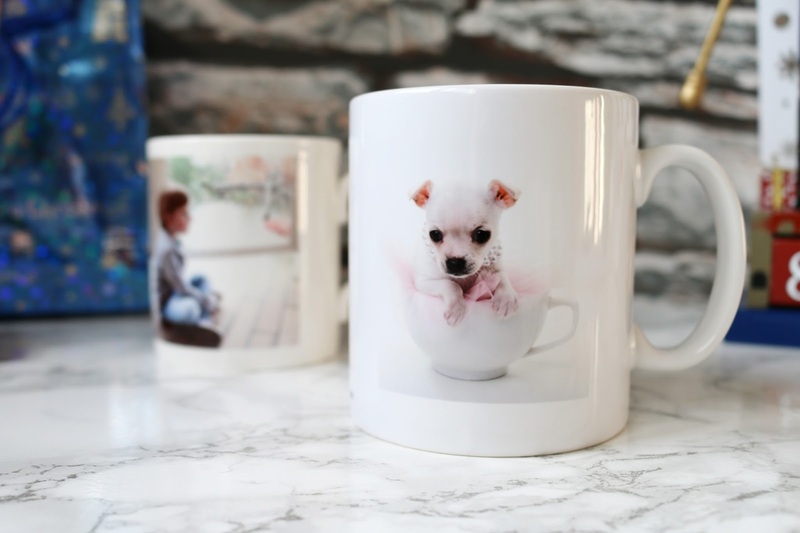 When choosing the designs I wanted to put pictures on them that made sense to my life so one is of a tea cup chihuahua in a tea cup because SO CUTE and a picture of Leon in Disneyland. I was egar to see what the finish would be like, how clear would the pictures be? would they be pixelated? 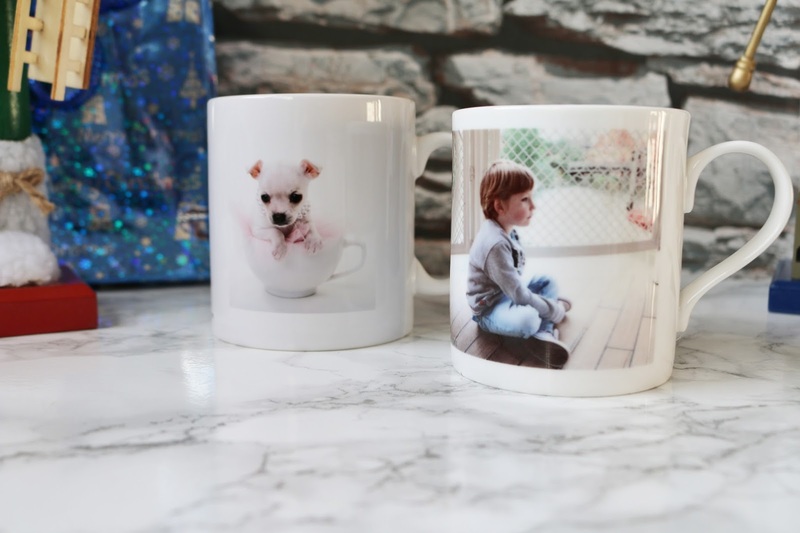 To my surprise they are really well done, the pictures are super clear and I love the glossy looking finish of mugs, they look so much more expensive than what they wear and I think anyone would love to receive these as a gift. In the making process of the mugs I liked that I was sent an email to make sure I was happy with the design of the photos and I got to choose the layout which is a nice touch rather than them just going ahead and printing it.The customer service was perfect and I really like that there are so many postage options to choose from so if you need the mugs pretty quickly they have that option. All in all I am really pleased with the quality of these mugs, I like that was able to get one of each style, their classic ceramic mug and their bone china mug. They really are perfect for any gift! If you fancy getting your hands on one or 3 then click the link below!